However in order to know whether you should go ahead with these strategies you first need to know the condition of your credit rating as it is. At the same time you also need to know what your credit rating is like before you apply for loans and even before you apply to rent a property. If you don’t then you can end up wasting time spent applying only for your application to be rejected, and this will often cost you money too. Fortunately there are ways you can check your credit rating completely free or very cheaply and this way you can become more informed regarding your finances. To do this search online for ‘check credit rating US’ and this will come up with some sites that offer to check your credit rating on your behalf. Usually the sites that charge a little will be the more reliable and will give you a more detailed report, and this way you can see things like who is connected to your credit rating – sometimes people you previously shared an address with or a joint account with will still be attached to your credit rating and this can then effect your score. Another way to check your credit rating if you’re not computer savvy or if you’d rather not share your details with these websites is to apply for a credit card with your bank (it’s worth noting too that sometimes checking your credit can actually damage it). If you do this then they will need to check your credit rating for you in order to know if this is a good idea and what kind of limit to put on your credit. This will be free because it’s in the bank’s best interests for you to get a credit card and it shouldn’t effect your score. 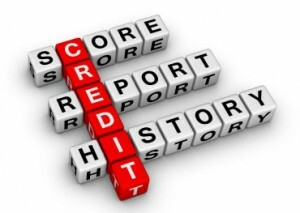 They might not give you the full details regarding your credit rating, but the limit they offer you will at least be a reflection on how good your history is.